In 1992’s “Sister Act,” it’s uptight nuns. In 2003’s “School of Rock,” it’s uptight teachers and parents. Those modern movie comedies use as their template 1941’s “Ball of Fire,” about a bunch of uptight lexicographers, of all things. Whatever the movie, all of these very repressed characters are liberated by a singer in disguise. It’s not easy being a catalyst for social change, but Barbara Stanwyck, Whoopi Goldberg, and Jack Black each knew how to spark a mild revolution with his or her own brand of anarchic charm and humor. 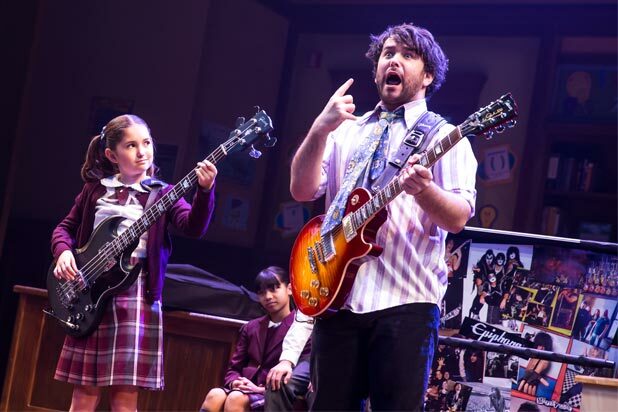 Alex Brightman takes over for Black in the new musical version of “School of Rock,” which opened Sunday at Broadway’s Winter Garden Theatre. As the failed rocker who impersonates a substitute teacher and ends up liberating his students, Brightman can sing. He’s full of energy, and for most of the show he acts like a total slob. Which is different from being a messy free spirit. When he wipes his sweaty torso with a towel and then throws it into a girl’s face or spews a mouthful of soda on another teacher (again, a female), he’s just a big boorish thug. Missing completely is that anarchic edge of comedy. Black, on the other hand, acted and looked like Dennis the Menace gone to early seed. In the film version, Black is more than ably supported by two comedians, Sarah Silverman and Joan Cusack, who bring oddball timing and quirky line readings to their respective roles as a livid apartment mate and the school’s inhibited principal. On stage, we get Mamie Parris and Sierra Boggess, who are humorless in their abrasive portrayals under the strictly middle-school direction of Laurence Connor. 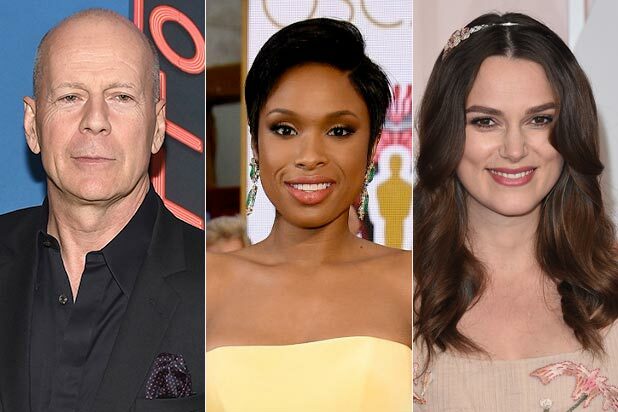 Other actors and another director might have made this “School” better. But then there’s the material itself. “School of Rock” is no movie classic, but worth watching because of Black. What the musical most needs is a complete overhaul for the stage; instead it gets Julian Fellowes‘ faithful-to-a-fault adaptation. Could this be the same Fellowes who’s responsible for “Downton Abbey?” Yes, but it’s also the same Fellowes who successfully embalmed Disney’s “Mary Poppins” for the stage. He’s so out of it with “School of Rock” that he makes a joke about a 12-year-old gay student being into Barbra Streisand. Beyonce, maybe, or Lady Gaga. But Barbra in 2015? It’s also a major mistake at crucial moments in the show to play other composers’ music. At least Lloyd Webber is eclectic in his borrowing, whether it’s “Amazing Grace,” “Nothing Else Matters,” or “Der Holle Rache,” which is reprised for the curtain call. It is nice to go out humming Mozart. In “School of Rock,” the parents eventually embrace their children’s newfound love of very loud and not very good rock music. Most parents in the audience, however, might wonder if Actors’ Equity has taken up a fund for the many talented young performers on stage who, when they outgrow their roles at age 13 or 14, will require hearing devices.